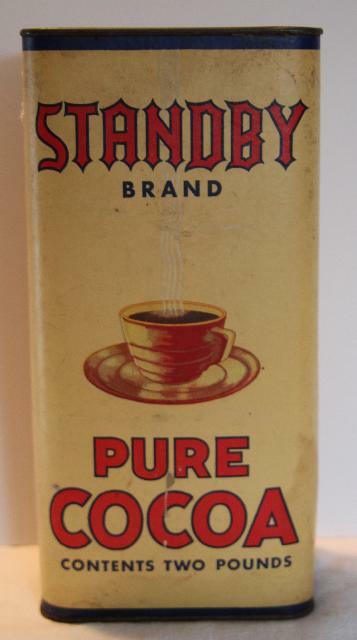 This is a 2lb Standby cocoa tin with cardboard body and tin top and bottom. 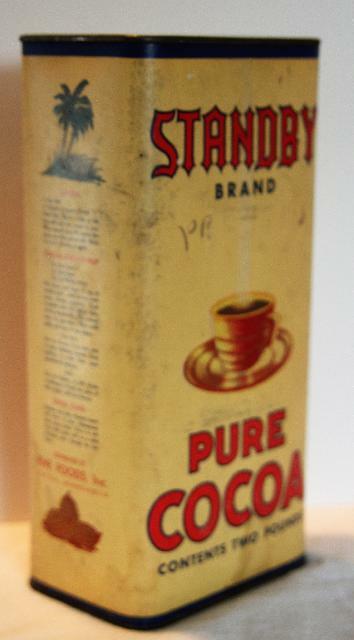 Distributed by Fine Foods, Inc, Seattle, Minneapolis. Good colors, shows some wear. Measures 6"W x 9"H x3"D.